ook to this matte film to help keep you working at your professional best. This film is designed to produce sharp black and color lines and uniform solid areas. Handle and store these smear-resistant, archivable prints with confidence.Meet your project deadlines. Compatible with a wide range of HP DesignJet printers using both Original HP dye- and pigment-based inks, this matte film provides high-quality, consistent image quality print to print and roll to roll.Help meet the environmental objectives of your company - and your clients. 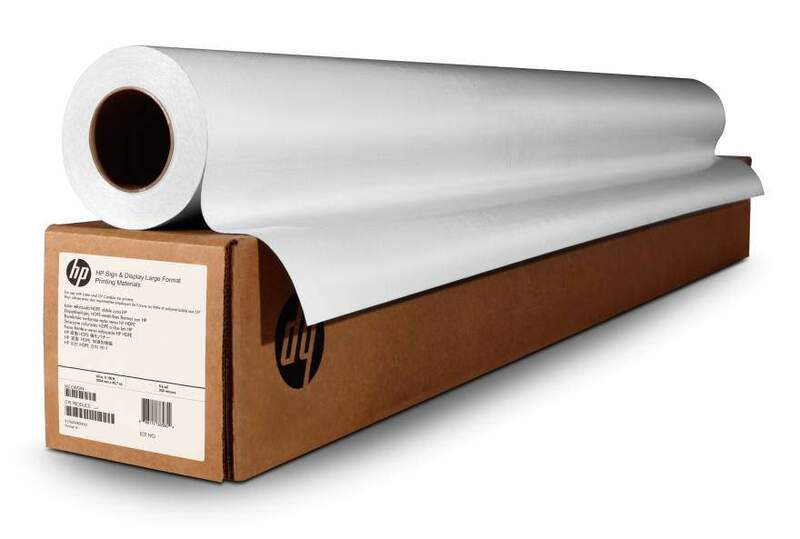 HP Matte Film is included in the HP Large Format Media take-back program, a free and convenient return and recycling program.